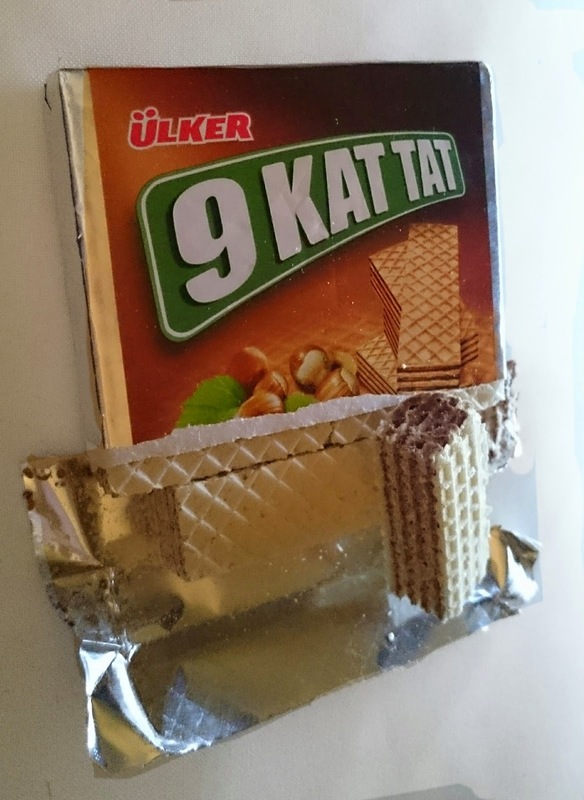 I found these in Tesco in the same aisle as the American sweets, I believe they are Turkish but please do correct me if I'm wrong! I love trying sweets and such from different countries and they were on offer for 3 for £1, so I couldn't really say no! 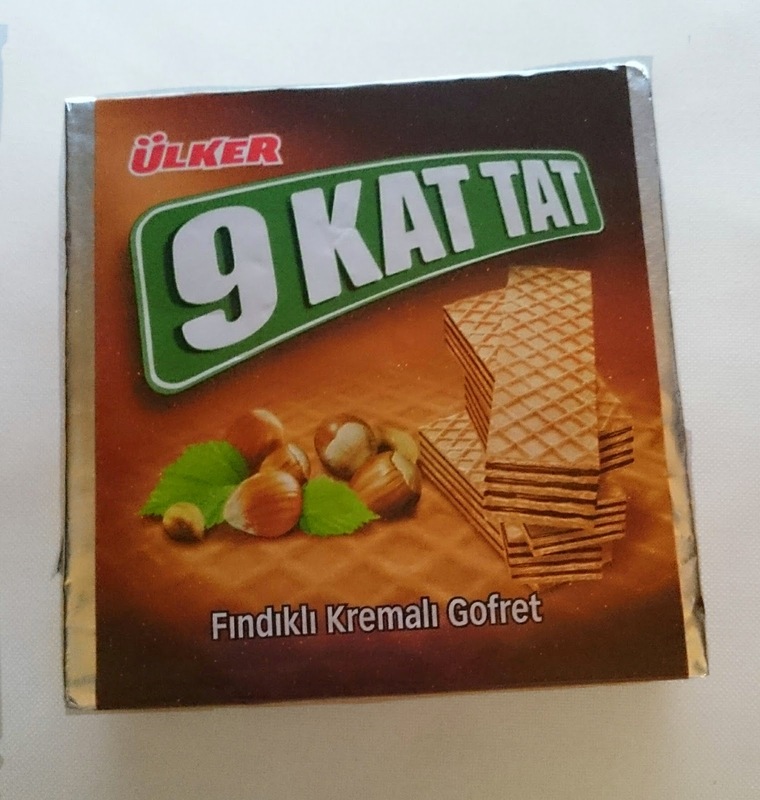 So first up is 9 Kat Tat, a hazelnut crème & wafer bar. I know we have these in England and they are definitely a bit of fave with me, so I picked one up! Inside the bar is split into two and then split into multiple bars. I love how the wrapping opens, it means you don't get covered in crumbs! I wasn't too impressed with these apart from that, they were a bit tasteless which is a shame because they were really nice and crispy, they just lacked a hazelnut taste. Next up, this adorable doughnut. The packaging alone made me want to pick this! 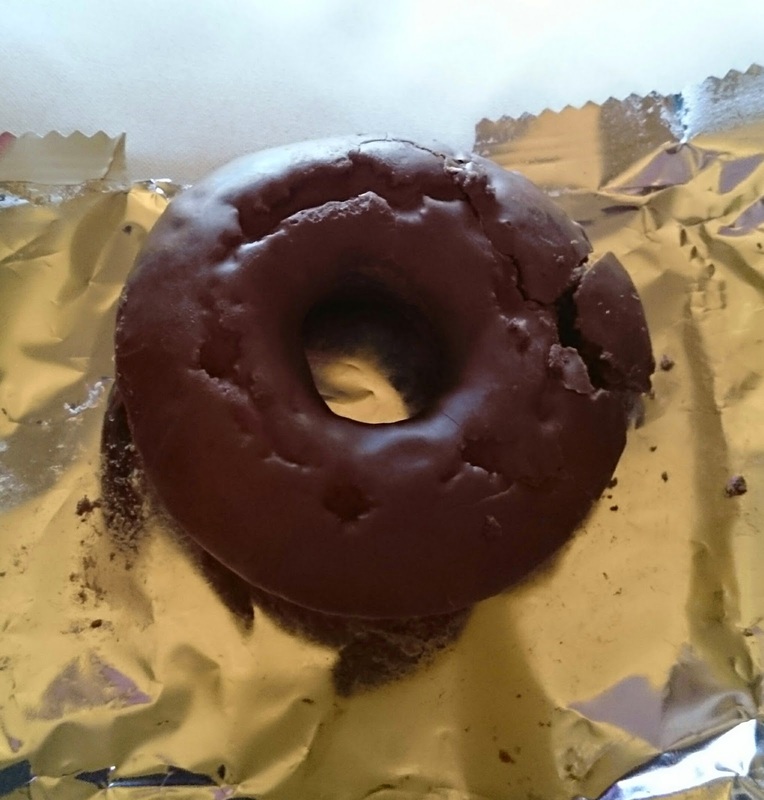 This isn't so much a doughnut as it is a cake made to look like a doughnut. 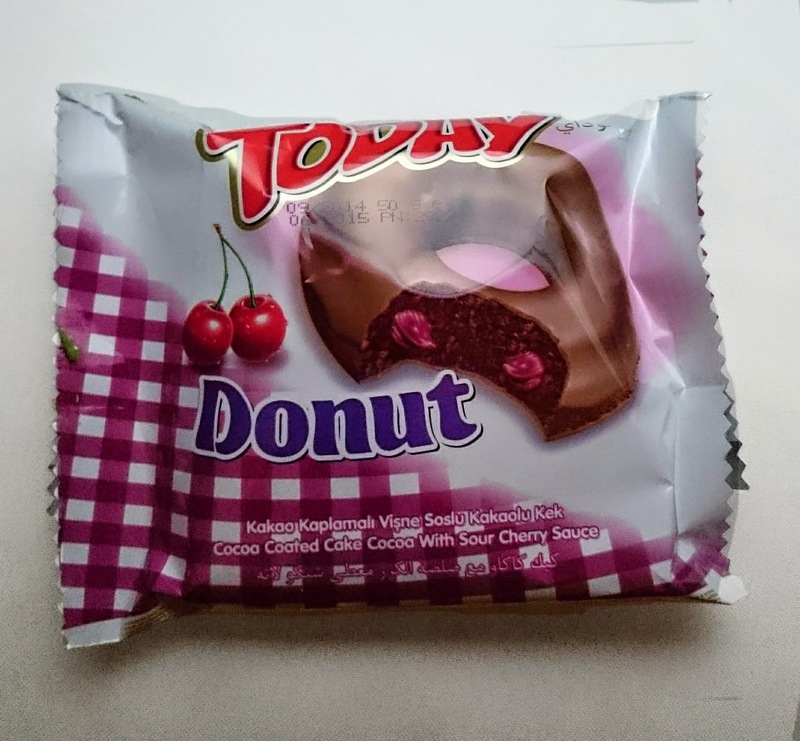 It has chocolate on the top to look like icing and a has a really sweet cherry centre. I'm not a huge fan of synthetic flavoured fruit, I hate fruit crème chocolates for instance and at first I really wasn't sure if this one was for me. It really is a cherry hit and it is very synthetic but after the first initial taste it grew on me and I like it! 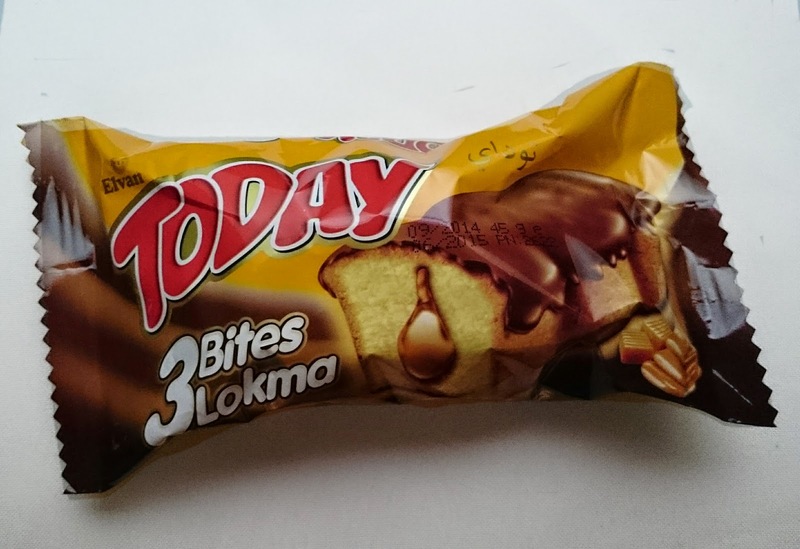 Finally I picked this cute little 3 bite cake. 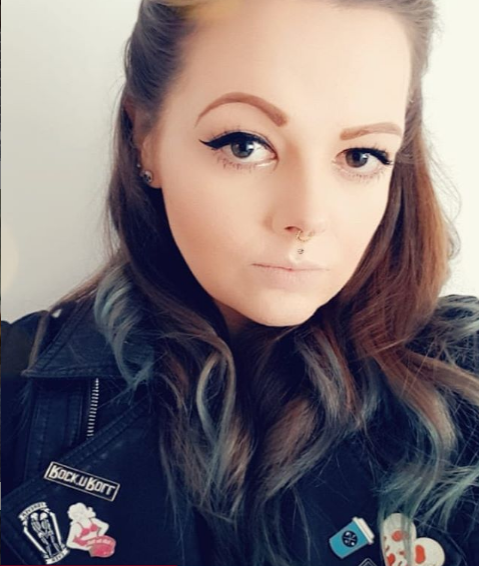 I don't know what I expecting with this one. 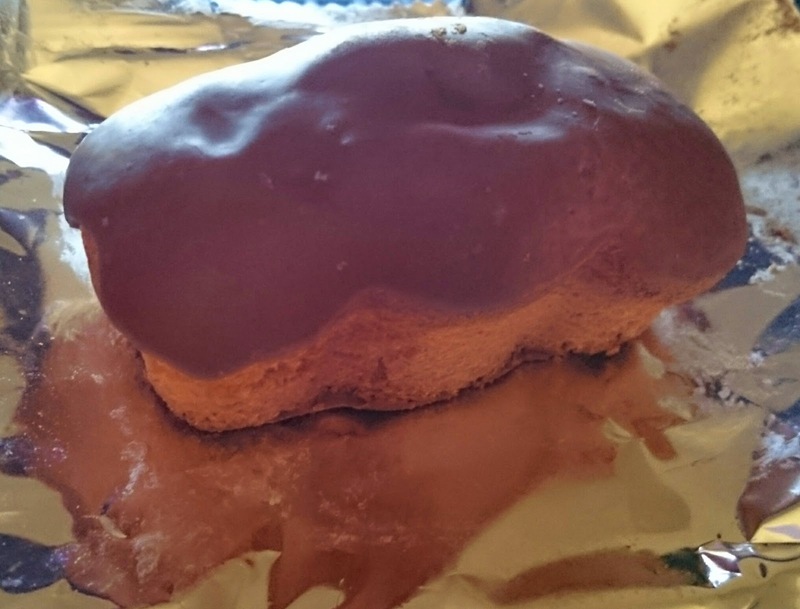 From the from it suggests a cake covered in chocolate with a gooey caramel filling, however I got a cake covered in chocolate with some caramel looking goo in the middle that didn't really taste of anything! It's a cute size and shape though, very different to the traditional cake bar! It's a shame the caramel didn't really have any flavour because the cake itself was quiet pleasant. What different treats have you tried recently?